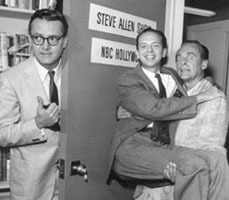 Oct.30: "Tonight Show" host, Steve Allen died on this date in 2000. .
Born Stephen Valentine Patrick William Allen in New York City, "Steve" was an American television personality, musician, actor, comedian, and writer. Though he got his start in radio, Allen is best-known for his television career. He first gained national attention as a guest host on Arthur Godfrey's Talent Scouts. He graduated to become the first host of The Tonight Show, where he was instrumental in innovating the concept of the television talk show. Thereafter, he hosted numerous game and variety shows, including The Steve Allen Show, I've Got a Secret, The New Steve Allen Show, and was a regular panel member on CBS' What's My Line? Allen played piano and was a prolific composer, having penned over 14,000 songs. 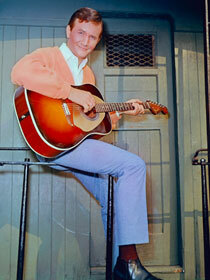 In one famous stunt, he made a bet with singer-songwriter Frankie Laine that he could write 50 songs a day for a week. Composing on public display in the window of a Hollywood music store, Allen met the quota, winning $1,000 from Laine. One of the songs, "Let's Go to Church Next Sunday," was recorded by both Perry Como and Margaret Whiting. Allen's best-known songs are "This Could Be the Start of Something Big" and "The Gravy Waltz," the latter having won a Grammy award in 1963 for Best Jazz Composition. Allen won a Grammy award in 1963 for best jazz composition, with his song The Gravy Waltz. Allen wrote more than 50 books and has two stars on the Hollywood Walk of Fame. -- Steve Lawrence and Eydie Gorme sing, "This Could Be The Start Of Something Big"
He was 78 when he died after suffering a heart attack following a car accident. 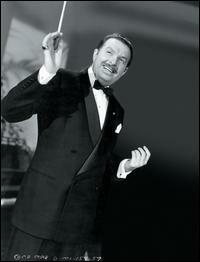 Xavier Cugat's full name was Francesc d'Asís Xavier Cugat Mingall de Bru i Deulofeu from Girona , Spain. 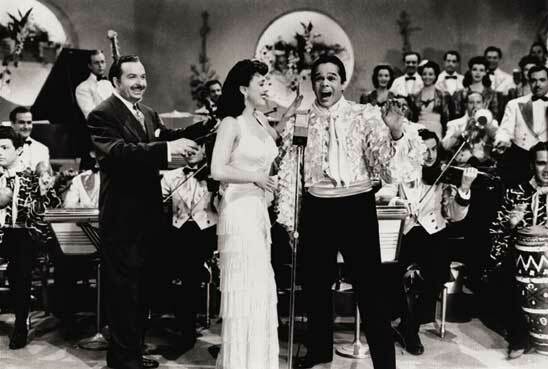 A Catalan-American bandleader who spent his formative years in Havana, Cuba. A trained violinist and arranger, he was a key personality in the spread of Latin music in United States popular music. He was also a cartoonist and a successful businessman. Cugat was born as His family emigrated to Cuba when Xavier was five. He was trained as a classical violinist and played with the Orchestra of the Teatro Nacional in Havana. On 6 July 1915, Cugat and his family arrived in New York as immigrant passengers on board the S.S. Havana. He started his musical career with a band called The Gigolos during the tango craze. Later, he went to work for the Los Angeles Times as a cartoonist. Cugat's caricatures were later nationally syndicated. His older brother, Francis, was an artist of some note, having painted the famous cover art for F. Scott Fitzgerald's novel, The Great Gatsby. In the late 1920s, as sound began to be used in films, he put together another tango band that had some success in early short musical films. By the early 1930s, he began appearing with his group in feature films. He took his band to New York for the 1931 opening of the Waldorf Astoria Hotel, and he eventually replaced Jack Denny as the leader of the hotel's resident band. 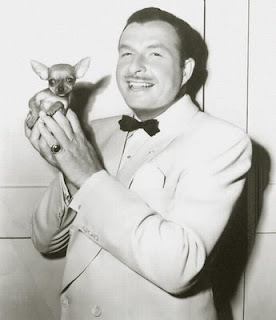 One of his trademarks was to hold a Chihuahua while he waved his baton with the other arm. For 16 years Cugat lead the Waldorf-Astoria Hotel's orchestra. He shuttled between New York and Los Angeles for most of the next 30 years, alternating hotel and radio dates with movie appearances in You Were Never Lovelier (1942), Bathing Beauty (1944), Week-End at the Waldorf (1945), On an Island with You (1948), and Neptune's Daughter (1949), among others. Cugat followed trends closely, making records for the conga, the mambo, the cha-cha-cha, and the twist when each was in fashion. Several of the songs he recorded, including "Perfidia", were used in the Wong Kar-wai films Days of Being Wild and 2046. In 1943, "Brazil" was a big hit, reaching #17 in the Billboard Top 100. Cugat recorded on Columbia Records, RCA Victor , Mercury Records and Decca Records. Dinah Shore made her first recordings as a vocalist with Cugat in 1939 and 1940. In 1940, his recording of "Perfidia" became a big hit. Cugat was married five times. 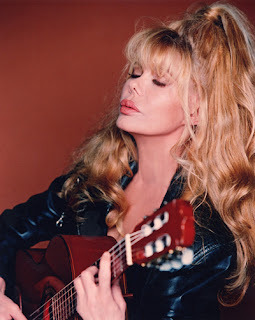 His first marriage was to Rita Montaner, his second to Carmen Castillo, his third to Lorraine Allen, his fourth to singer Abbe Lane, and his fifth to Spanish guitarist and comic actress Charo. ... he was 90 when he passed away. 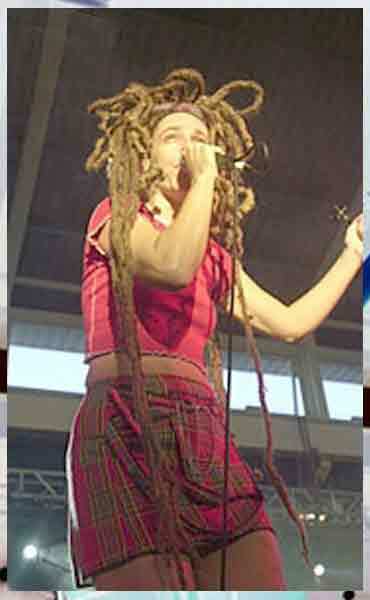 Oct. 20: Punk & Raggae Singer Ari Up died on this day. Ari was 48 when she died from cancer. Born Ariane Forster in Munich, Germany on January 17, 1962, Ari was only 14 when she formed the UK punk rock band The Slits with drummer Palmolive in 1976. By the late seventies, they were touring as the opening act for the The Clash. 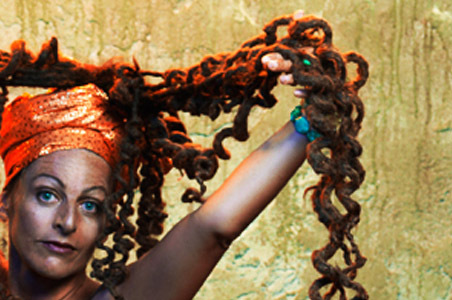 Ari Up's love of reggae led The Slits into a "jungly," dub style. She was the most flamboyant member of the group. Her wild hair and crazy stage outfits became her trademarks. Her 1977 performances with The Slits are featured in The Punk Rock Movie, a 1992 release of various punk group club performances, principally at The Roxy. After The Slits broke up in 1981, she moved with her husband and twin children to jungle regions of Indonesia and Belize, living among indigenous people in those areas. Later, they moved to Jamaica, eventually settling in Kingston. She continued to make music, first with the New Age Steppers, then solo as Baby Ari, Madussa, and Ari Up. 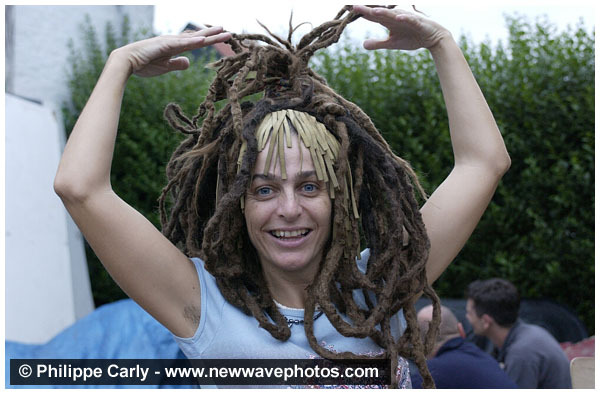 In 2006 Ari Up reformed The Slits releasing an EP and later toured in Europe, North America, Australia, and Japan. She occasionally played solo concerts in New York, and toured the UK with her backing band 'The True Warriors'. She also recorded with the Jammyland All Stars, Brave New Girl, Dubistry, and the German techno-dancehall outfit, Terranova. Ari Up appeared on Lee "Scratch" Perry's 2008 album, Repentance, and performed a duet on a cover version of The Yardbirds' song "Mister You're a Better Man Than I" on Mark Stewart's 2008 album, Edit. In July 2009, she performed with Perry and Austrian dub band Dubblestandart in Brooklyn, New York just prior to the Central Park SummerStage festival. One of Ari's last recordings done in May 2010 in New York was on a track with Lee Scratch Perry recorded by Subatomic Sound System and released in August 2010 on 7" vinyl called "Hello, Hell is Very Low" b/w "Bed Athletes." … he was 55 when he died from lung cancer. 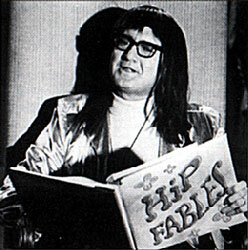 Roger Dean Miller was famous for his catchy near-novelty songs. 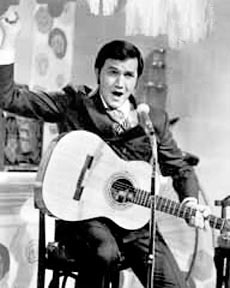 His best known records include the country and pop hits "King of the Road,” "Dang Me" and "England Swings,” all recorded in the mid 1960s. Roger was born in Fort Worth, Texas and raised in Oklahoma. Growing up, he listened to the Grand Ole Opry and Light Crust Doughboys on a Fort Worth station with his cousin's husband Sheb Wooley. Wooley taught Miller his first guitar chords and bought him a fiddle. Roger used to sneak out of his house and perform in Oklahoma and Texas. When he was 17, he stole a guitar to write songs, but turned himself in the next day. He chose to enlist in the Army to avoid jail. Near the end of his military service, while stationed in Atlanta, Georgia, Miller played fiddle in the "Circle A Wranglers," a military musical group started by Faron Young. While stationed in South Carolina, an army sergeant whose brother was Kenneth C. Burns from the musical duo Homer and Jethro, convinced Miller to head to Nashville after he was discharged from the Army. 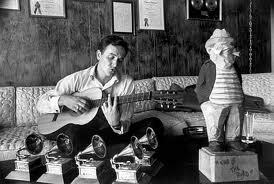 In Nashville, he met with Chet Atkins, who after listening to him, advised him to come back after he polished his act. Miller remained in Nashville and worked as a bellhop at the Andrew Jackson Hotel, to make ends meet; he soon became known as the "singing bellhop." Eventually, Roger was hired by Minnie Pearl to play fiddle in her band. Later, he met up with George Jones, who introduced him to music executives from the Starday Records label for an audition. The label was impressed with Miller and awarded him with a session in Houston, accompanied by Jones. Jones and Miller collaborated, writing "Tall, Tall Trees" and "Happy Child." After starting a family, Miller left for Amarillo, Texas to become a fireman, and while his music career wasn't completely abandoned, was put on the back burner. Miller met with Ray Price, and was hired as a member of his Cherokee Cowboys. He moved back to Nashville, and penned the song "Invitation to the Blues," which was covered by Rex Allen and later by Price, for whom it became a number three hit on country charts. 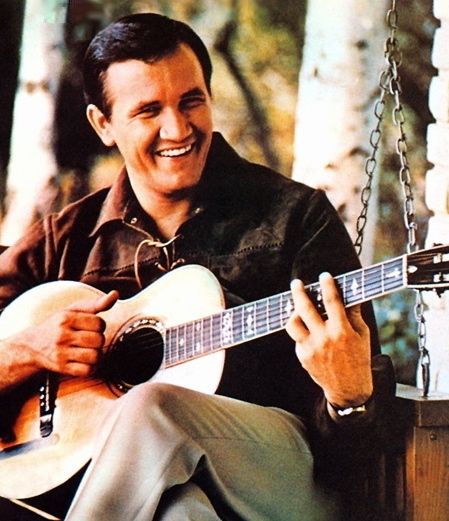 Roger wrote "Half a Mind" for Ernest Tubb, "That's the Way I Feel" for Faron Young, and his first number one, "Billy Bayou," which along with "Home" were recorded by Jim Reeves. Miller became one of the biggest songwriters of the 1950s. However, Bill Anderson would later remark that "Roger was the most talented, and least disciplined person that you could imagine" citing the attempts of Miller's Tree Publishing boss, Buddy Killen to force him to finish a piece. He was also known to give away lines, inciting many Nashville songwriters to follow him around since "everything he said was a potential song." 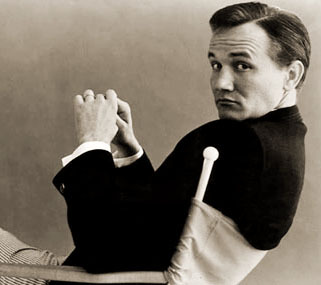 Miller signed a recording deal with Decca Records in 1958. He was paired with singer Donny Little, who would later gain fame under the name Johnny Paycheck, to perform the Little-penned "A Man Like Me,” and later "The Wrong Kind of Girl." Neither song made the charts. To make extra money, Miller went on tour and joined Faron Young's band as a drummer, although he had never drummed before. During this period, he signed a record deal with Chet Atkins at RCA Records, for whom Miller recorded "You Don't Want My Love" (also known as "In the Summertime") in 1960, which marked his first appearance on country charts, peaking at #14. The next year, he would make an even bigger impact, breaking through the top 10 with his single "When Two Worlds Collide," co-written with Bill Anderson. Both songs were released as singles, peaking at #1 and #3 respectively on country charts. Both also fared well on the Billboard Hot 100 reaching #7 and #9. The songs transformed Miller's career. 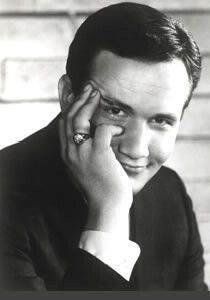 Later that year, he recorded the #15 hit "Do-Wacka-Do," and soon after the biggest hit of his career "King of the Road," which topped Country and Adult Contemporary charts while peaking at #4 on the Billboard 100. Miller continued to record and tour into the 1990s, charting his final top 20 country hit "Old Friends" with Willie Nelson in 1982. Late in his career he wrote the music and lyrics for the 1985 Tony-award winning Broadway musical Big River, in which he also appeared. Miller died from lung cancer in 1992, and was posthumously inducted into the Country Music Hall of Fame three years later. His songs continued to be recorded by younger artists, with covers of "Tall, Tall Trees" by Alan Jackson and "Husbands and Wives" by Brooks & Dunn, each reaching the number one spot on country charts in the 1990s. ... he was 29 when he died from injuries sustained in a plane crash. 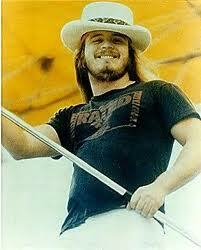 Ronald Wayne "Ronnie" Van Zant was the lead vocalist, primary lyricist, and a founding member of the Southern rock band Lynyrd Skynyrd. He was the older brother of the founder and vocalist of 38 Special, Donnie Van Zant, and of current Lynyrd Skynyrd lead vocalist Johnny Van Zant. Born and raised in Jacksonville, Florida, he considered becoming a boxer and playing professional baseball. Ronnie also tossed around the idea of becoming a stock-car racer. 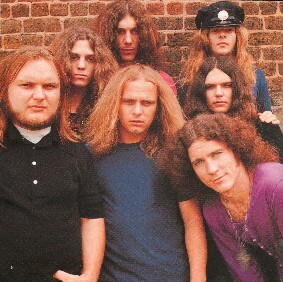 Van Zant formed Skynyrd late in the summer of 1964. Leonard Skinner was a Jacksonville, Florida high school gym teacher who, during the late 1960s sent a group of his students to the principal’s audience for for having long hair. 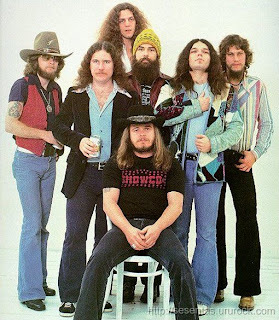 A few years later, those school friends, Ronnie Van Zant, Allen Collins and Gary Rossington, named their newly formed rock band, Lynyrd Skynyrd as an inside joke tribute to their former coach at Robert E. Lee High School. The band's national exposure began in 1973 with the release of their self-named debut album, which has a string of hits and fan favorites including: "I Ain't the One," "Tuesday's Gone," "Gimme Three Steps," "Simple Man," and their signature song, "Free Bird," which he later dedicated to the late Duane Allman of The Allman Brothers Band. 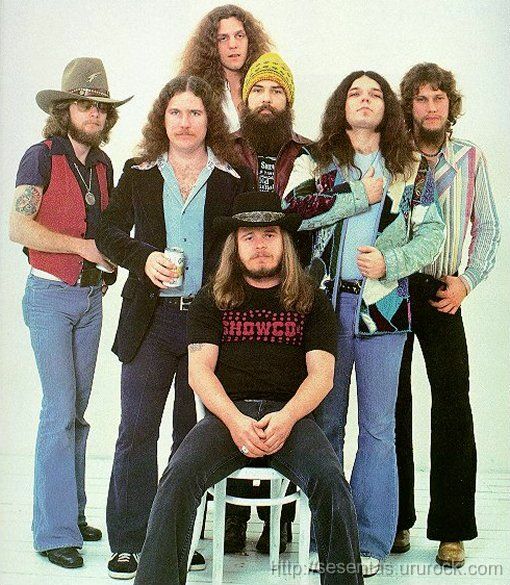 Lynyrd Skynyrd's biggest hit single was "Sweet Home Alabama," although "Free Bird" was a close second, which came off the album Second Helping. "Sweet Home Alabama" was an answer song to Neil Young's "Alabama" and "Southern Man." 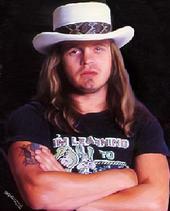 Van Zant and Young were fans of each other and considered collaborating on several occasions. 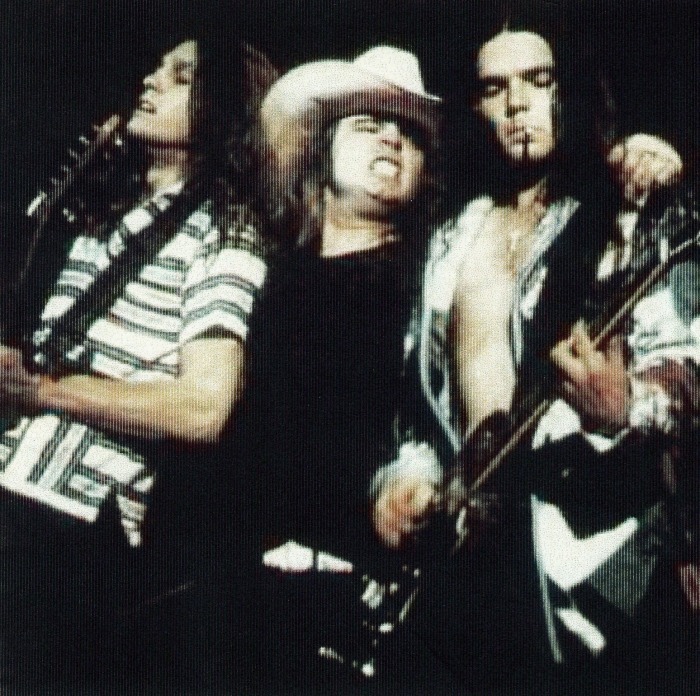 Young's song "Powderfinger" on the 1979 album Rust Never Sleeps was reportedly written for Skynyrd, and Van Zant is pictured on the cover of Street Survivors wearing a T-shirt of Young's Tonight's the Night. On October 20, 1977, a Convair 240 carrying the band between shows from Greenville, South Carolina to Baton Rouge, Louisiana crashed outside of Gillsburg, Mississippi. The passengers had been informed about problems and told to brace for impact. Van Zant died in the crash on impact, after he struck a tree. Bandmates Steve Gaines, Cassie Gaines, assistant road manager Dean Kilpatrick, pilot Walter McCreary, and co-pilot William Gray were also killed. Remaining band members survived, although all were seriously injured. 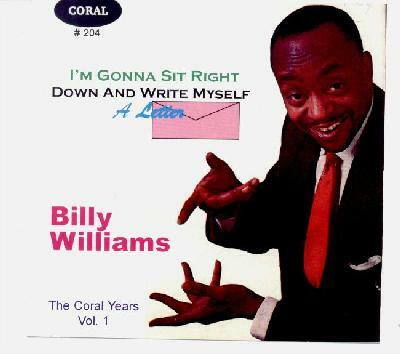 Oct. 17: Billy Williams of "I'm Gonna Sit Right Down And Write Myself A Letter" died on this date in 1972. He was 61 when he died. -- "I'm Gonna Sit Right Down And Write Myself A Letter"
Billy Williams was born born in Waco, Texas. He had a highly successful cover recording of Fats Waller's "I'm Gonna Sit Right Down And Write Myself A Letter" in 1957. His trademark for his songs was to shout "Oh, Yeah" at the end of lyrics. 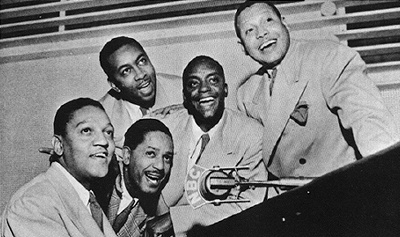 He was the lead singer of The Charioteers between 1930 and 1950, after which he formed his own Billy Williams Quartet with Eugene Dixon, Claude Riddick and John Ball. Many appearances on TV followed, especially on Your Show of Shows with Sid Caesar. By the early 1960s he had lost his voice due to diabetes. He subsequently moved to Chicago and worked as a social worker until he passed away. between 1930 and 1950, after which he formed his own Billy Williams Quartet with Eugene Dixon, Claude Riddick and John Ball. Many appearances on TV followed, especially on Your Show of Shows with Sid Caesar. By the early 1960s he had lost his voice due to diabetes. He subsequently moved to Chicago and worked as a social worker until he passed away.